A stretch cotton for comfort. A stripe gros grain detail at the waist for fancy. The straight leg Bermuda shorts: classic yet original! Zip and button fastening. Stripe gros grain panel at the waist, with belt loops. 2 slant pockets with bartacks and piped coin pocket at front. 2 piped button pockets at the back. Inseam 27.5cm, leg width 25cm approx. The touch of elastane allows for comfortable stretch and a cut that fits close to the body. 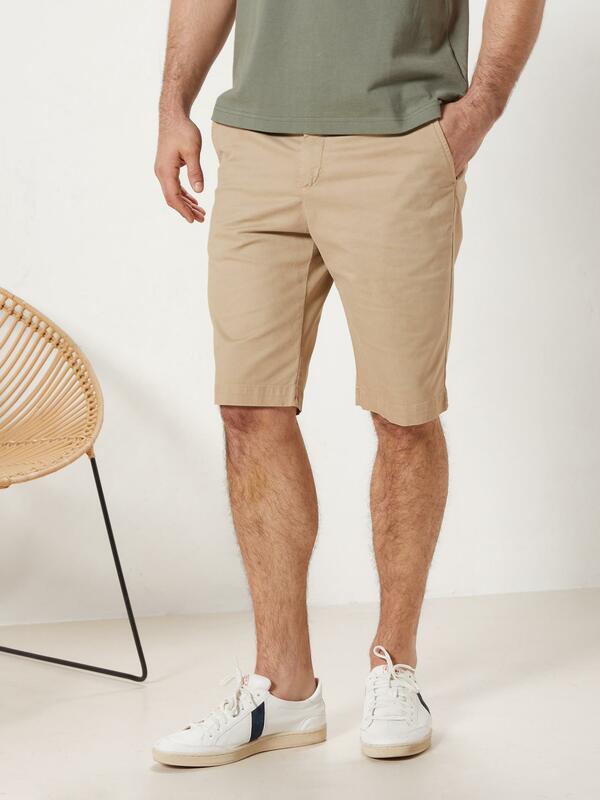 Classic straight-leg Bermuda shorts or colourful chinos or short stripe Bermuda shorts... Opt for the Cyrillus men's Bermuda shorts and shorts for a laid-back look that's sporty chic!